Applications are invited from unmarried Indian National candidates for entry as Permanent Commission (PC) officers in Executive (GS) Branch and Short Service Commission (SSC) officers in Executive and Technical Branches of the Indian Navy under University Entry Scheme (UES), for course commencing June 2018. The last date for submission of online applications is 31st July 2017. Age Limit: Born between 02 Jul 1994 to 01 Jul 1997 both dates inclusive. Selection Process: The eligible candidates applying for entry will have to appear before a Naval Campus Selection Team for interview. The Candidates qualifying the campus interview will be shortlisted for SSB interview on the basis of his/her preference for the entry, subject to meeting the eligibility criteria for particular entry. In case of excess candidates further shortlisting will be based on percentage scored up to 5th semester in BE/B. Tech. The final selection of Branch/ Specialization/ Cadre will be decided by IHQ-MoD (Navy) depending on number of vacancies in particular Branch/ Specialization/Cadre. Candidates shortlisted during campus interview will be called for SSB interview at Bangalore/ Bhopal/ Coimbatore/ Visakhapatnam between December 2017 to April 2018. Selected candidates will be informed about their selection for SSB interview on their E-mail or through SMS as provided by candidates in their application form. (a) Conduct of SSB -> Stage I test consisting of Officer Intelligence Rating(OIR) Test, Picture Perception and Discussion test (PPDT) will be conducted on the first day. Candidate who fails to qualify in Stage I will be routed back home on the same day. Stage II tests will comprise of Psychological testing, Group Task, Group Discussion and Personal Interview. No compensation will be paid in case of any injury sustained as a result of tests. The duration of SSB will be 05 days. Successful candidates will thereafter undergo Special Medical Examination for approximate duration of 05 days at nearest military hospital. (b) Change of SSB centre is not permissible. Any correspondence regarding change of SSB dates is to be addressed to the Call-up Officer of the concerned SSB. Award of fresh dates, would be subject to availability of date and batches at SSB centre. (c) Candidates recommended by the SSBs and declared medically fit, will be appointed for training based on All India Merit depending on the number of vacancies. (d) Return First Class (AC III Tier/AC Chair Car) rail fare is admissible for the SSB interview, if appearing for the first time for this Commission on production of railway ticket. Candidates will carry photocopy of the first page of pass book or cheque leaf where the name, A/C No & IFSC details are mentioned, while appearing for SSB. How to Apply: Eligible Candidates are to register and fill online application on the recruitment website (Join Indian Navy). The Candidates are to apply online from 01/07/2017 to 31/07/2017. Applications are invited from unmarried Indian Nationals (Men & Women) for entry as Permanent Commission (PC) officers in Executive (GS) branch and Short Service Commission (SSC) officers in Executive and Technical Branches of the Indian Navy under University Entry Scheme (UES), for course commencing June 2017. The last date for submission of online applicationregistration is 7th August 2016. (1) Candidate must have minimum of 60% marks in overall aggregate on completion of BE/B Tech. The candidate failing to meet minimum cut off percentage will not be permitted to join INA Ezhimala. (2) Candidates who have FAILED in PABT (Pilot Aptitude Battery Test) earlier are not eligible for the Pilot entry. (3) Candidates are not eligible for UES entry if they have not studied Physics, Chemistry & Mathematics at Intermediate (10+2) level. 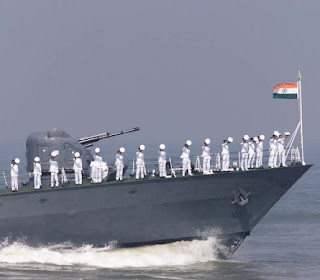 (4) Technical Branch candidates can also be allotted Air Technical Specialisation and will be appointed as Air Technical Officers by IHQ MoD (Navy). (5) Candidates with BE/B.Tech degree in 'avionics' will be eligible for Air Technical branch only. (6) Candidates having backlog in any semester at the time of Campus interview are not allowed to attend the interview. (7) Candidates with less than 60% marks in overall aggregate till fifth semester/seventh semester (B.Tech/integrated degree course) are not permitted to appear for campus interview. Age Limit: 19 to 24 years as on 01 July 2017 (i.e. born between 02 July 1993 to 01 July 1998 both dates inclusive). Selection Procedure: The eligible candidates applying for entry will have to appear before a Naval Campus Selection Team for interview. The Candidates qualifying the campus interview will be shortlisted for SSB interview on the basis of his/ her preference for the entry, subject to meeting the eligibility criteria for particular entry. The final selection of Branch/ Cadre will be decided by IHQ-MoD (Navy) depending on number of vacancies in particular Branch/ Cadre. The Candidates shortlisted during campus interview will be called for SSB interview at Bangalore /Bhopal/ Coimbatore/ Visakhapatnam between December 2016 to April 2017. (a) Conduct of SSB -> Stage I test consisting of Officer Intelligence Rating(OIR) Test, Picture Perception and Discussion test(PPDT) will be conducted on the first day. Candidate who fails to qualify in Stage I will be routed back home on the same day. Stage II tests will comprise of Psychological testing, Group Task, Group Discussion and Personal Interview. No compensation will be paid in case of any injury sustained as a result of tests. The duration of SSB will be 05 days Successful candidates will thereafter undergo Special Medical Examination for approximate duration of 05 days at nearest military hospital. Successful candidates of Pilot & Observer entry will undergo following on qualifying SSB:- (i) Pilot Entry - PABT (Pilot Aptitude Battery Test) followed by Aviation Medicals. (ii) Observer Entry - Aviation Medicals. (d) Return 3 tier AC rail fare is admissible for the SSB interview, if appearing for the first time for the entry. How To Apply: Eligible Candidates can submit only Online (e-application) for this entry. The last date for submission of online applications is 07/08/2016 (Last date may be 20/09/2016 (According to Join Indian Army Official Website).